There are luxury watches and then there are examples of haute horology. The latter is an expression of extraordinary watchmaking skill, where complex watch complications, exceptional decoration, and the finest materials come together to produce remarkable timepieces. To celebrate the art of haute horology, we’ve selected the Bovet Amadeo Fleurier 46 Tourbillon Orbis Mundi as our Watch of the Month. 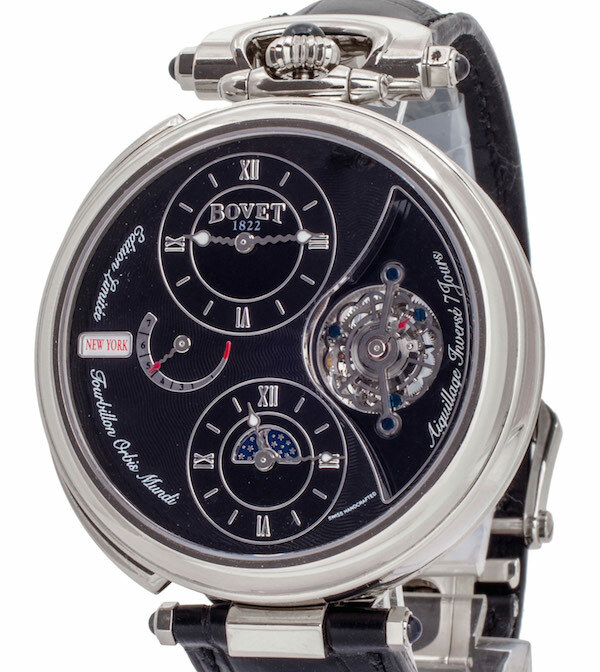 Founded in 1882 by Edouard Bovet, the house of Bovet began as a watch manufacturer dedicated to selling high-end pocket watches to the Chinese market. A truly international operation, Edouard Bovet was based in Canton, China, his brothers Alphonse and Frederic were in London, England, and his another brother Gustave, remained in their native town, Fleurier, Switzerland. With watchmaking workshops in Fleurier and strong demand in China, the family business blossomed. In fact, in 1855 Bovet won a gold medal at Paris World Exhibition for a pair of enameled watches commissioned by the Emperor of China. When future generations of the Bovet family were no longer interested in watchmaking, the brand name changed hands several times over decades, never really able to capture the magic it once had. 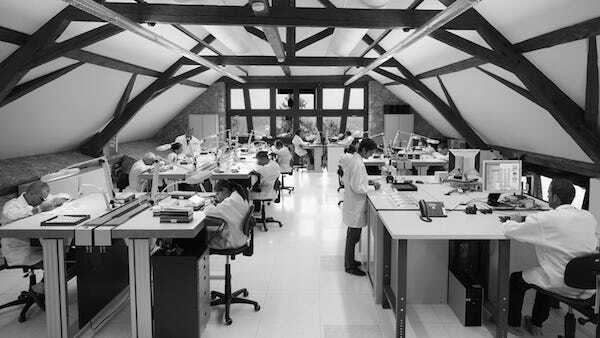 That was until 2001, when Pascal Raffy, a retired pharmaceutical executive and a passionate watch collector, purchased the company. 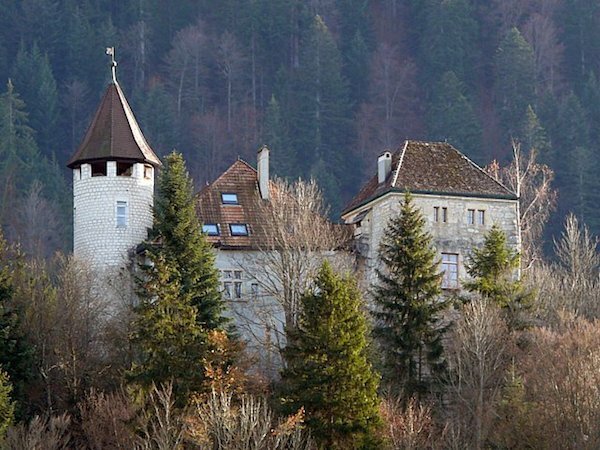 The workshops of Bovet today are located inside a magnificent 13th-century château overlooking Fleurier, which once belonged to the Bovet factory. 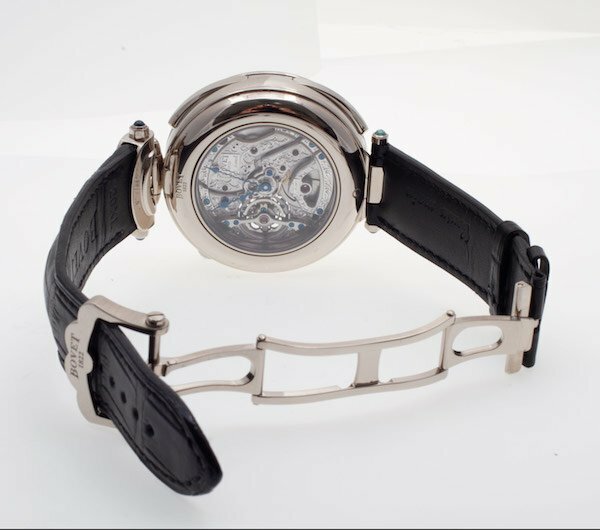 With Pascal Raffy at the helm, the modern Bovet maison is committed to producing exquisite watches in low quantities targeted to serious watch collectors who are looking for exceptional pieces. 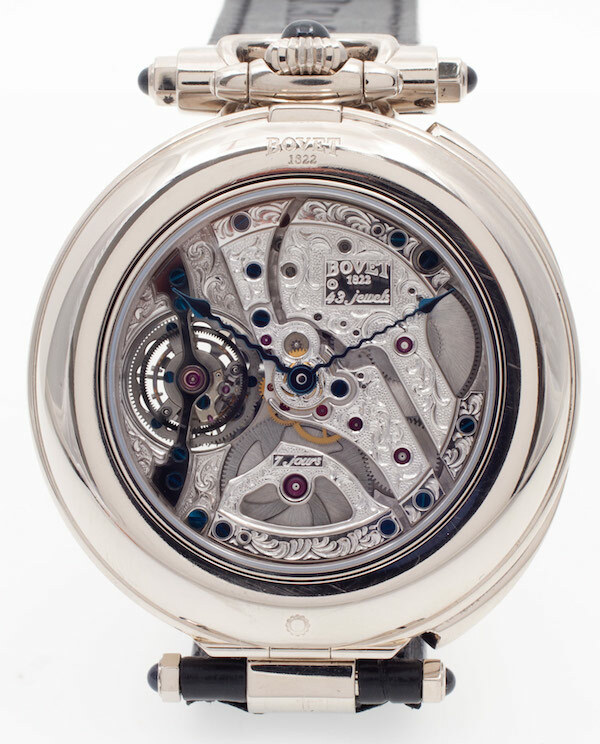 In 2010, Bovet unveiled the innovative Amadeo convertible case named after his own son, Amadeo Raffy and inspired by the 19th century Bovet pocket watches made for the Chinese Emperor. An ingenious system, the Amadeo convertible case can be worn as a reversible wristwatch with two faces, a miniature table clock, or a pocket watch. Even more impressive is that this can be done in a few simple steps without the need for tools. The Bovet Fleurier 46 Tourbillon Orbis Mundi Amadeo combines the inventive Amadeo case with a host of watch complications to produce an ultra-limited grand complication watch. Limited to only ten pieces, the Fleurier 46 Tourbillon Orbis Mundi Amadeo dons a generous 46mm 18k white gold case with the winding crown placed at the 12 o’clock position, echoing the style of a pocket watch. One side of the watch houses a black dial with two separate subdials indicating two separate time zones. Furthermore, there’s also a day/night indicator, a 24 cities window, and a power reserve indicator. Last, but certainly not least, is the tourbillon mechanism oscillating at 3 o’clock and if you closely, the red running seconds hand is fitted on the tourbillon cage. The other side of the watch gives us a view of the beautifully decorated hand-wound mechanical movement within. And because this is a reversible wristwatch, this side of the case also includes a pair of blued hands to indicate the hour and minutes. The movement offers an impressive seven-day hour reserve, emphasizing Bovet’s commitment to creating incredible calibers to match their striking timepieces. What’s more, the bezel can semi-detach from the case to act like a stand so that the Bovet Fleurier 46 Tourbillon Orbis Mundi Amadeo can convert into a free-standing table clock. The detachable straps of this Bovet Fleurier 46 Tourbillon Orbis Mundi Amadeo are crafted in black alligator leather, fitted with an 18k white gold deployant clasp, along with white gold lugs to attach to the case. 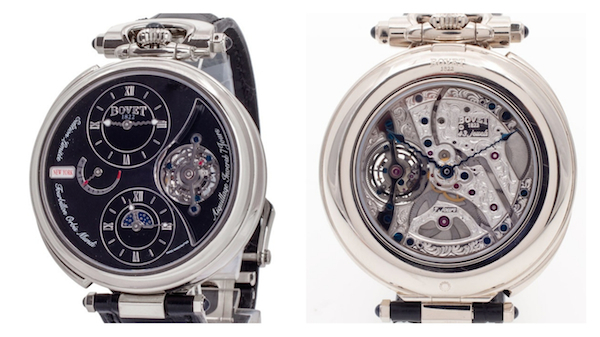 It is clear that Bovet watches are made with the utmost respect for high watchmaking traditions. And the Bovet Fleurier 46 Tourbillon Orbis Mundi Amadeo is a watch that is proudly made for those who consider themselves enthusiasts of haute horology.